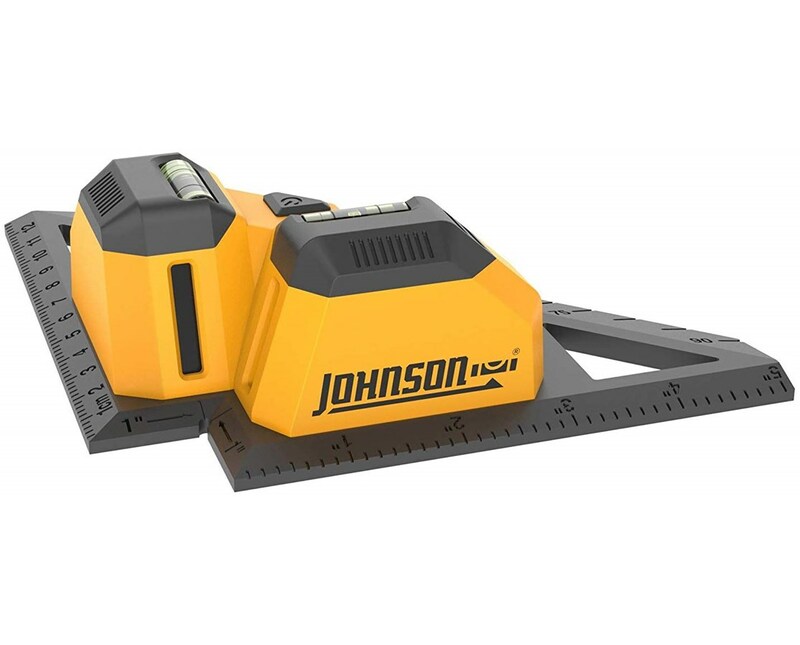 The Johnson Level Tiling Laser is a specialty straight line laser level which can adhere to any surface while projecting a level laser line. Its laser beam can project over wet mastic or concrete. Ideal for laying out tiles, stones, brick, carpet and hardwood flooring. The perpendicular lasers form a 90° reference for flooring installation. The dual leveling vials are excellent for use on vertical surfaces. The edges of the base have a degree, inch and metric scales to help with complex layouts. 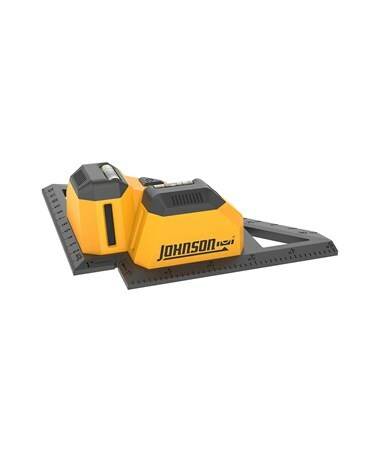 The two laser emitters of the Johnson Level Tiling Laser generate perfectly straight lines with an accuracy of ±1/4 inches at 20 feet and has a working range of up to 23 feet. 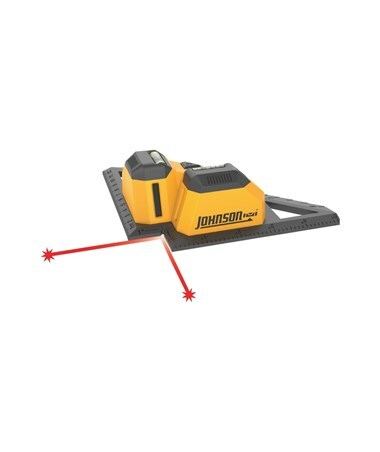 The Johnson Level Tiling Laser is handy and lightweight and the perfect choice for any tiling project. It runs on 2 "AA" alkaline batteries included with the laser and lasts for 20 hours of continuous use. Dust and waterproof with an IP protection class of IP 50. It comes backed by a 2-year warranty. Interior range up to 23 ft.